Sunk Afinity Sessions Episode 48Episode 48 featuring fresh cut's and Soulful, Deephouse classic's. Njoi! Sunk Afinity Sessions Guest Mixes #013 Ness LeeGuest mix #013 from Ness Lee (USA) excellent music mixed with a unique style and flare. Enjoy the show and thanks for listening. 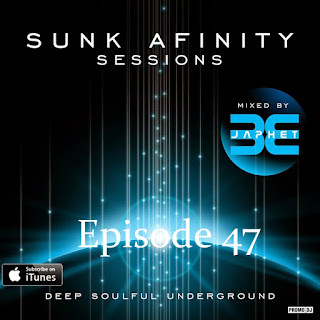 Sunk Afinity Sessions Episode 47Episode 47 with music from Bob Mosses, Rishi K and two outstanding tracks from Ian Bleavins. Enjoy! 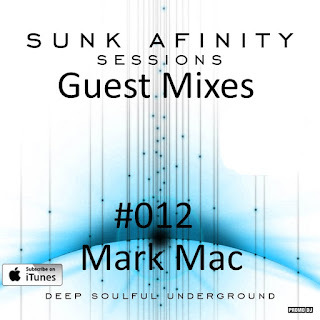 Sunk Afinity Sessions Guest Mixes #012 Mark MacJanuary's guest session from UK based DJ and radio broadcaster Mark Mac.. Excellent super deep selection put together with flare and finesse. Enjoy the show and check Mark's own outstanding radio show.. "The Sounds Collective"